We teamed up with OLAM, a new nonprofit organization. OLAM is a coalition organization that is partnered with over thirty nonprofit organizations around the world. OLAM and their partners all share the same mission: spreading global Jewish service. Through their partnerships, OLAM’s goal is to promote hands on involvement, international development, and advocacy for social justice on a global scale. 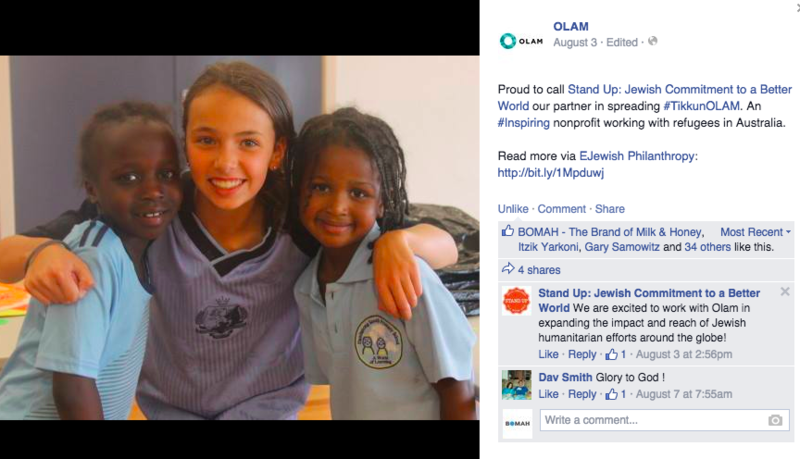 OLAM was looking for a team to morph their goals into a strong social media presence. We added the BOMAH personal touch to OLAM’s vision. In doing so, we created a unique social media strategy. Our first step was to build the backbone of the OLAM brand. We researched similar organizations, provided input on the OLAM website, mapped which social media platforms would be the most successful with the OLAM brand, and created an in depth strategy of how to post on social media.Then, after market research, we created Facebook and Twitter accounts for OLAM. After deciding which social platforms to use, we then created a plan of how we would post to these channels- defining OLAM’s voice. From there, we created a pre-launch strategy for OLAM’s social media to create brand awareness for OLAM. During the time period before their launch, our main goal was to create an initial buzz that would attract OLAM’s audience. Our next step was to map OLAM’s audience, we researched who would be interested in OLAM, where are they on social media, and what content they would engage with. In addition to their audience, we also targeted influencers in the Jewish community as well as in the nonprofit world that could promote OLAM. We then created a content calendar for OLAM- their content needed to reflect their many partnerships, and promote their initiatives. Additionally, to reach a new, large, and relevant audience, we designed a sponsored ad campaign to promote OLAM. After OLAM’s launch, our storytelling continued. We continued to manage OLAM’s Facebook and Twitter accounts on a daily basis. We continued to engage with their audience, partner organizations, and influencers. 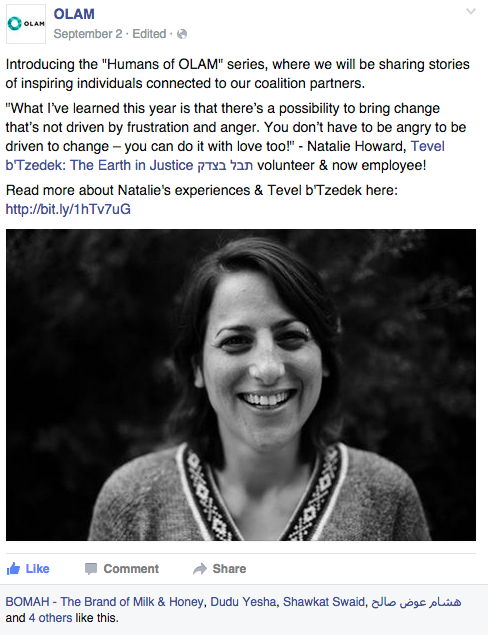 We created a blog series called Humans of OLAM in which we highlighted a volunteer who worked with a partner organization, and shared his or her story. We continued to highlight OLAM’s partner organizations through promoting their volunteer opportunities, and sharing their initiatives with OLAM’s audience. “BOMAH has worked closely with us to build our social media strategy from the ground up. 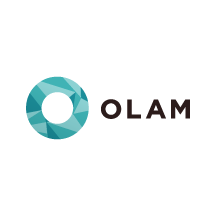 OLAM, a coalition interested first and foremost in amplifying the work of our partner organizations, is different from most clients BOMAH encounters. BOMAH was willing to embark on this journey with us, thinking outside the box, adjusting with our emergent strategy and working to the best of their availability to meet our unique and evolving needs."